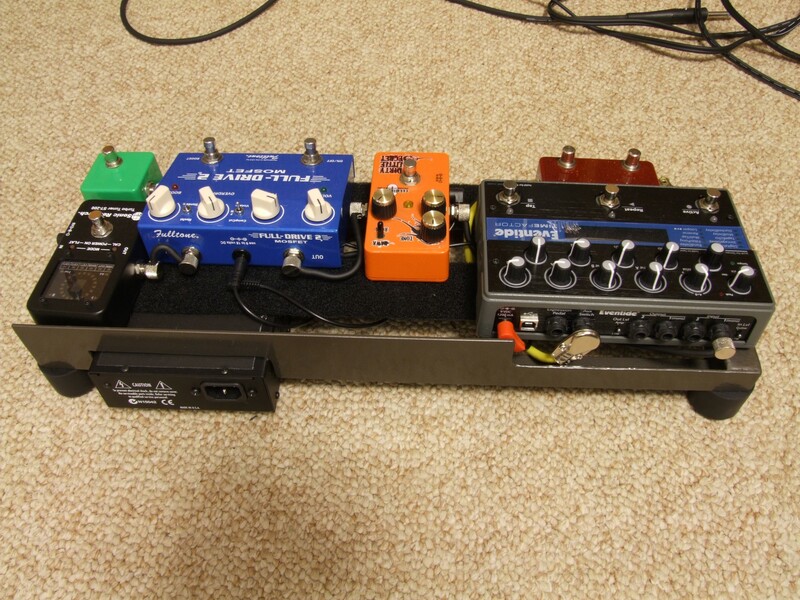 Full pedalboard builds from small to large using your own pedals. 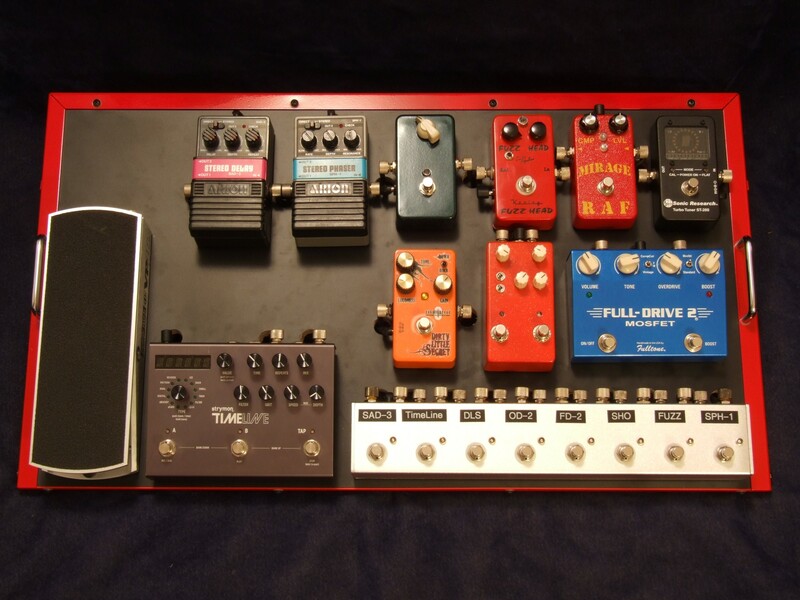 Everything from assembling and wiring a basic board to full out custom builds. 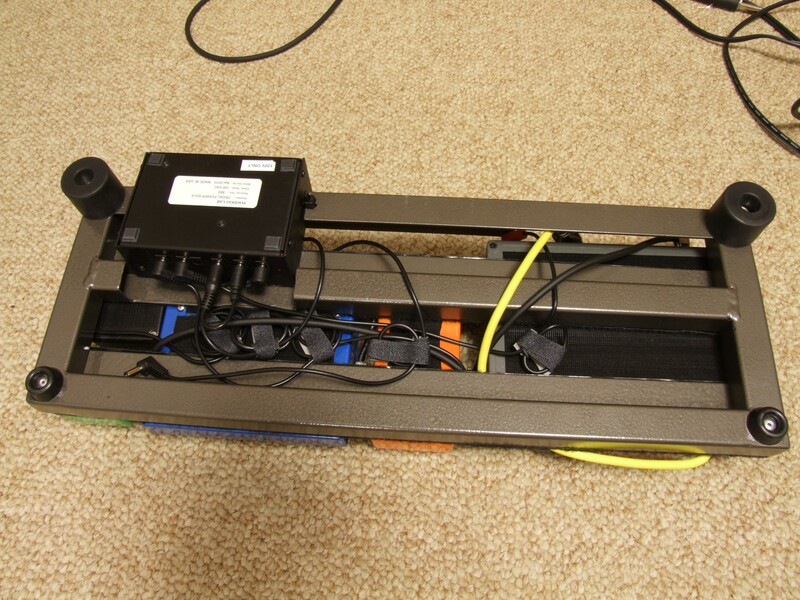 I can develop and build custom switching systems. 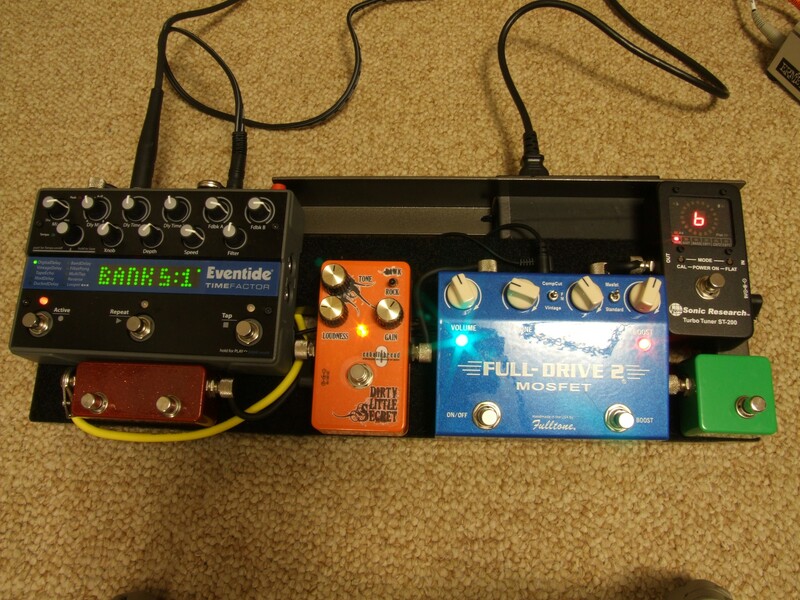 Examples: Switch to toggle a volume pedal between a volume pedal and an expression pedal without affecting signal chain. 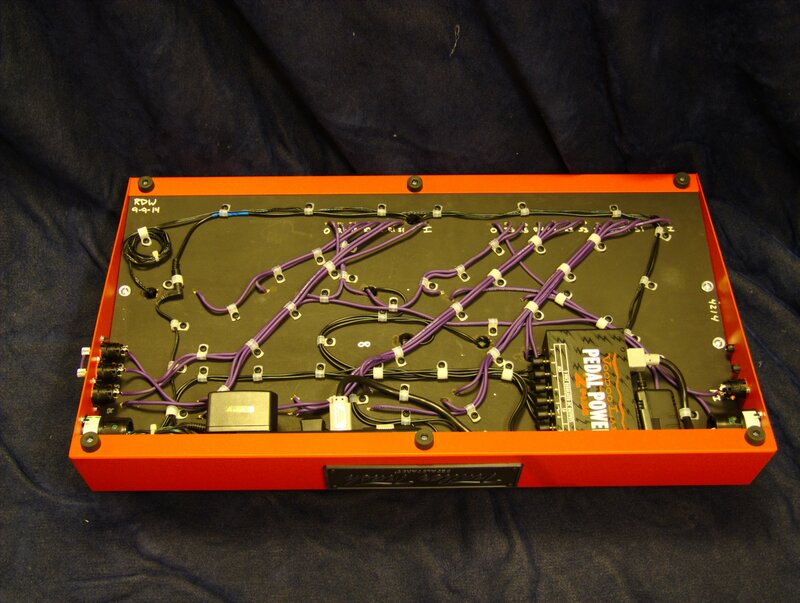 Custom preset and foot control box for pedals with EXP inputs. 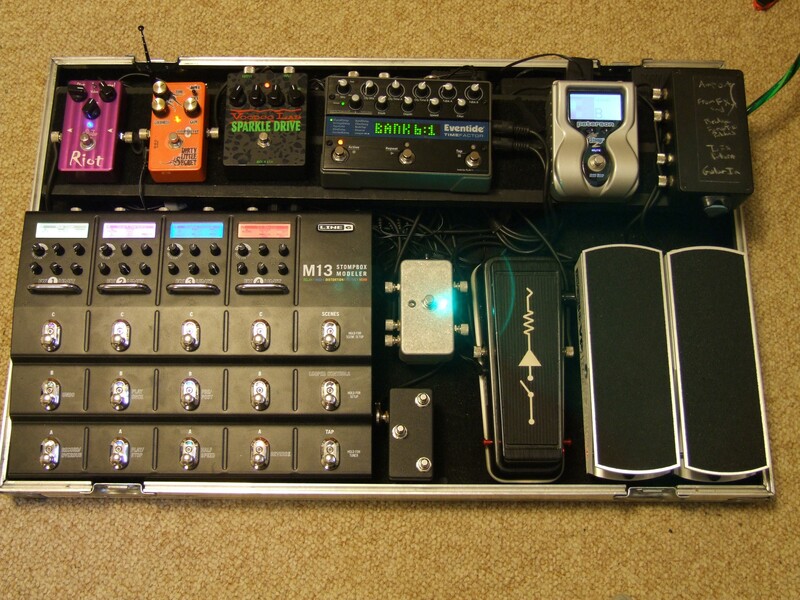 Have an older Pedaltrain board that you want to mount a power supply to? 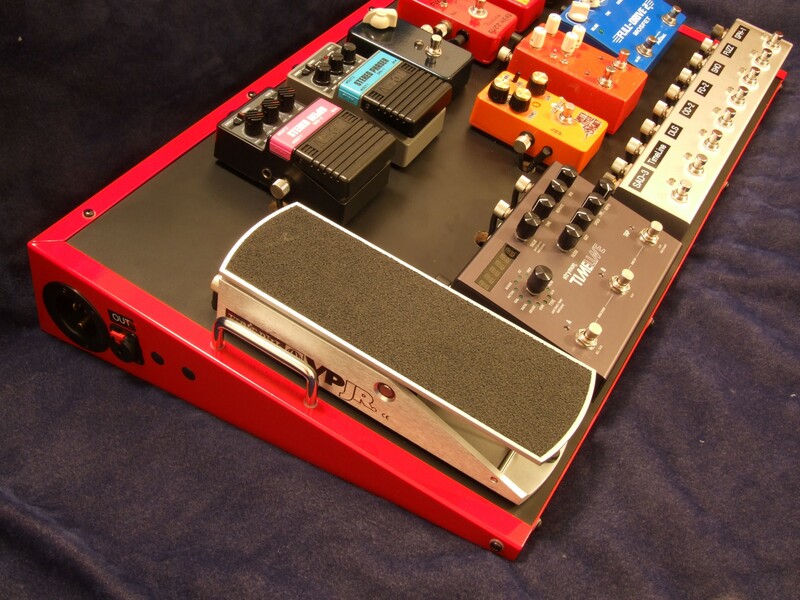 Pedaltrain mini back plate stopping you from mounting the pedals you want? 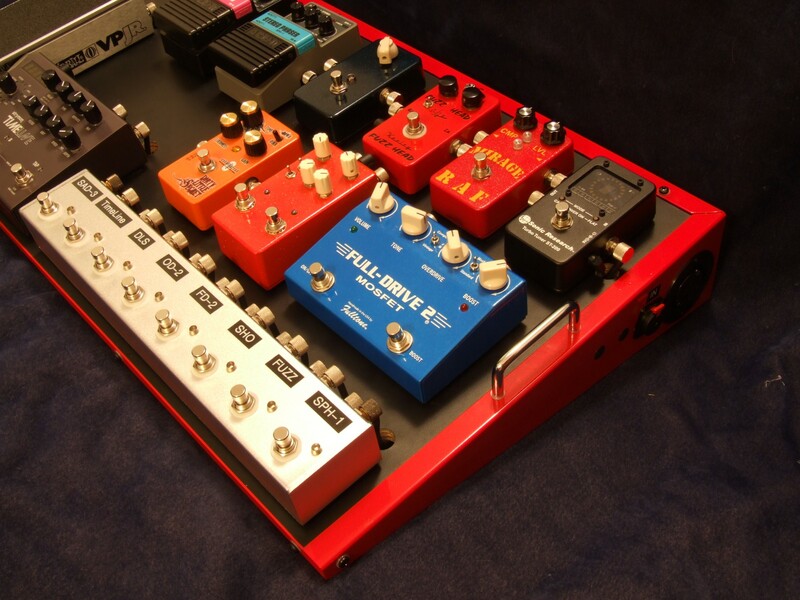 I can modify the board including custom paint in any color you like. 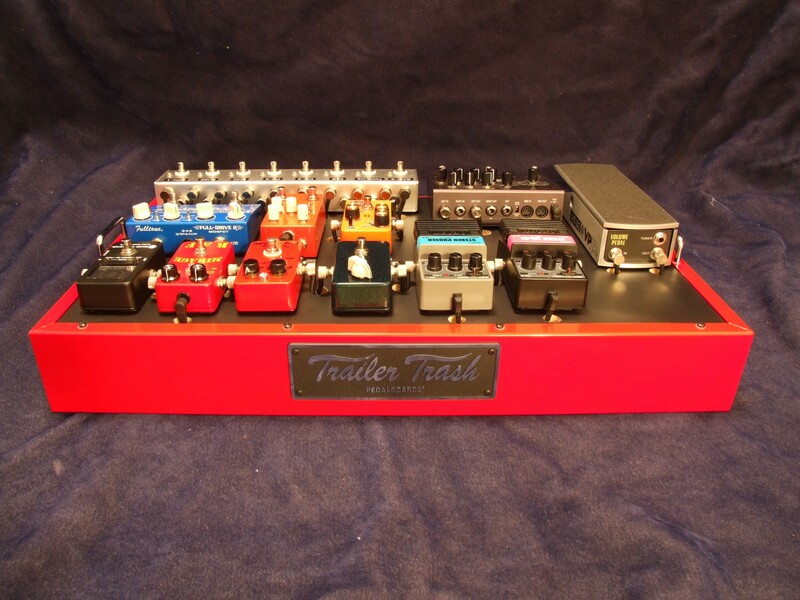 I offer limited custom pedal build options. Please contact me with what you’re looking for! What's involved in a build? My most recent build was for a friend of mine who wanted to upgrade from his self wired pre-made board to something more tidy. I documented my steps for this build fully in an Imgur album. Check it out to follow a build from start to finish! An example of a custom piece was a split 3-button auxiliary switch for the Eventide TimeFactor. 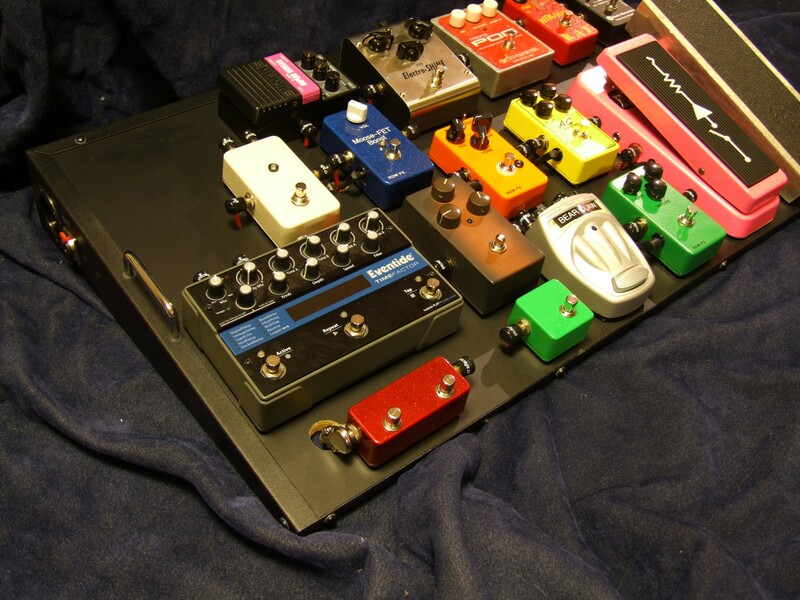 Many 3 button aux switches exist for this pedal, but given the tight packaging on the Pedaltrain Mini board, something unique was required. The red two button pedal immediately below the TimeFactor was programmed (in the TimeFactor) to be bank up and down while the green footswitch on the right was the tap-tempo. 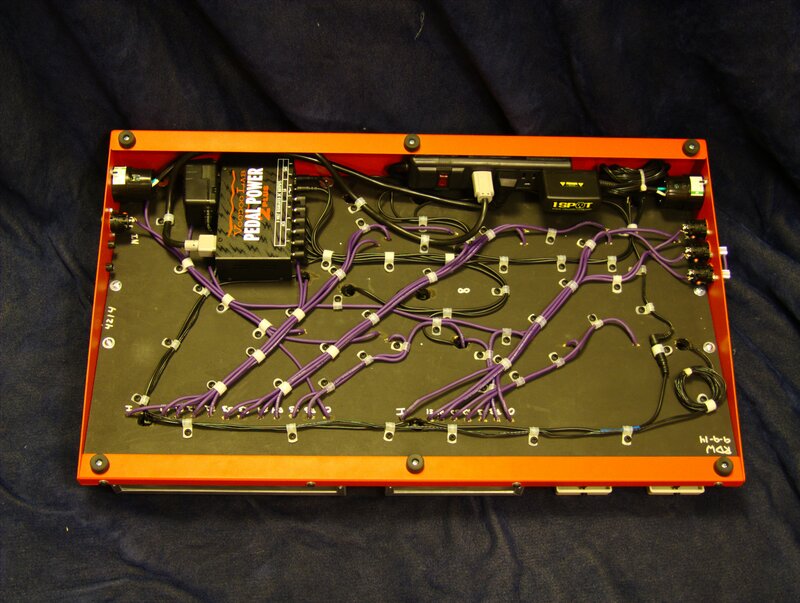 This Pedaltrain Mini was customized to allow access to the jacks on the back of the Eventide TimeFactor. 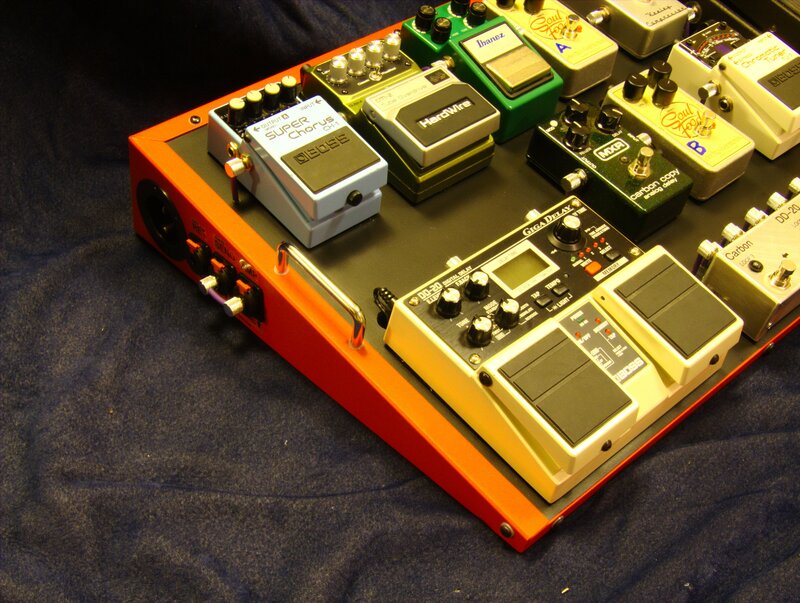 The bottom of the board was also modified to allow a Voodoo Labs Pedal Power ISO5 power supply to be mounted underneath. 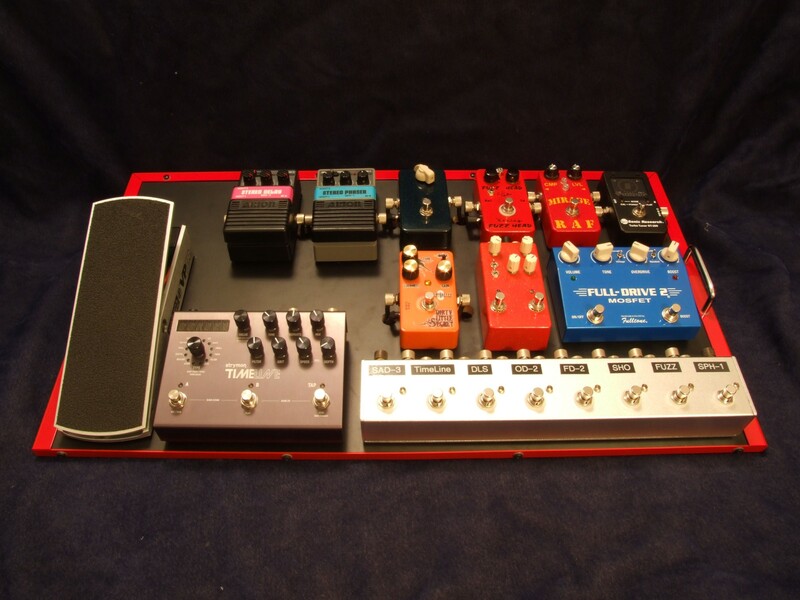 The whole board was then painted a hammer finish gunmetal grey color. 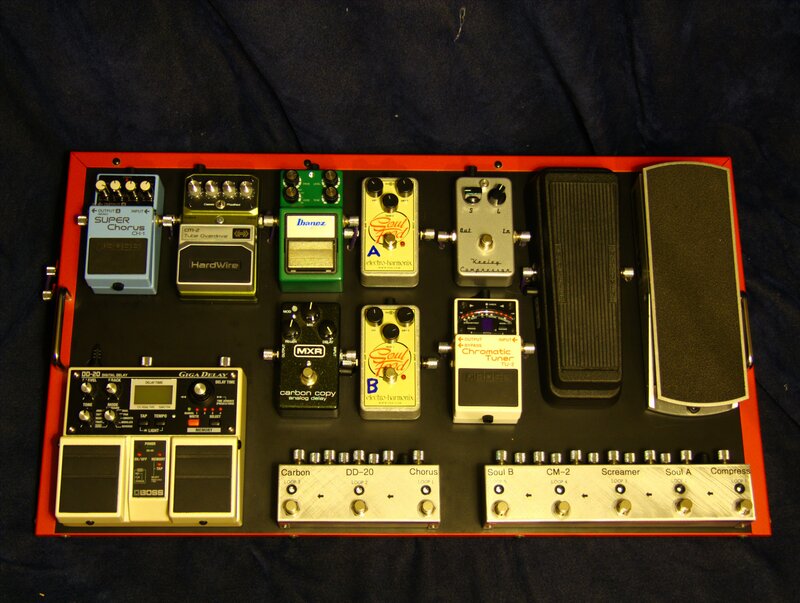 One of the more interesting designs which showcases that anything can be possible is the switch to the left of the wah pedal on this board. 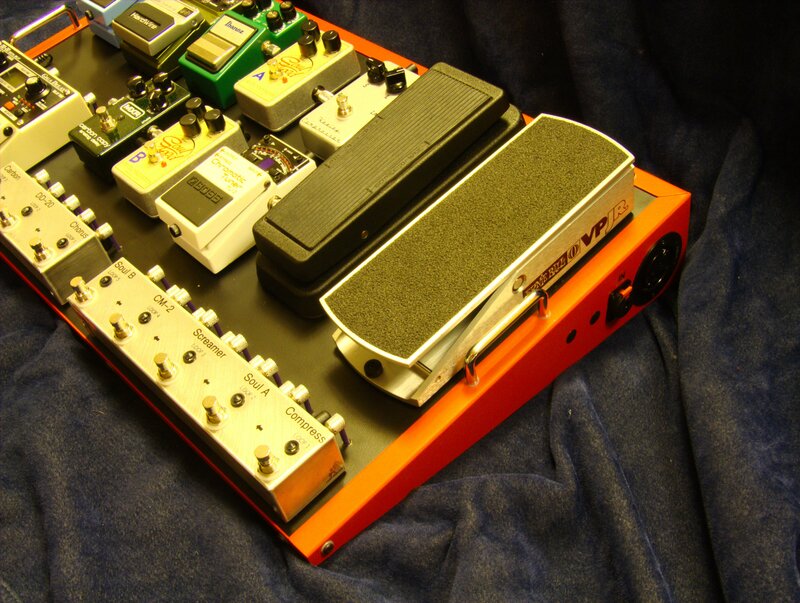 The switch allows the left volume pedal to be switched from volume pedal which was positioned before the delay pedal for volume swells – to an expression pedal for the Line 6 M13. 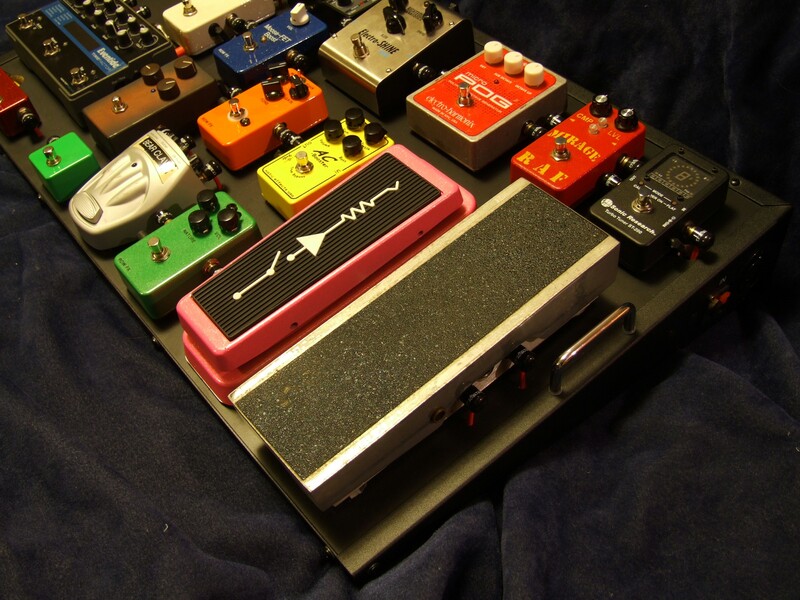 Typically a volume can be a volume pedal OR an expression pedal. With this custom piece, it can be both! 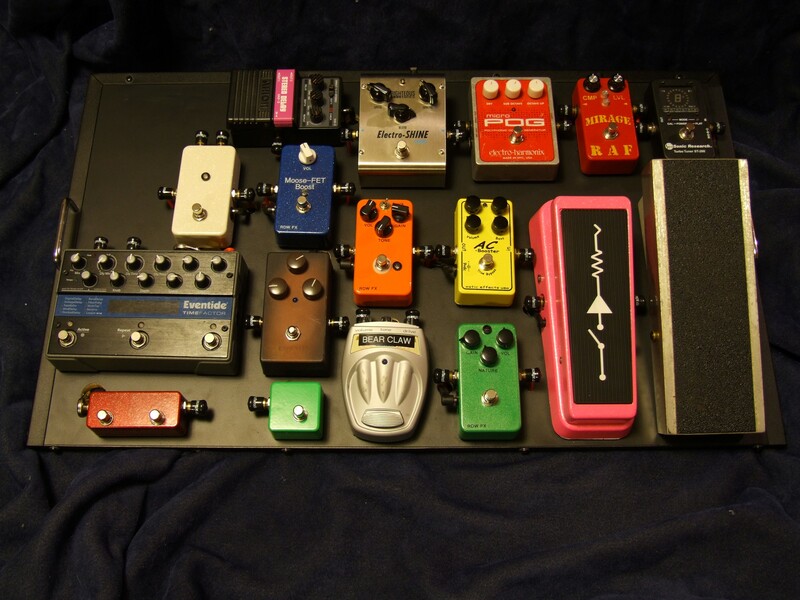 The right volume pedal on this board was a master volume at the end of the whole signal chain. Contact me today to discuss build options and pricing. All manner of requests will be answered!